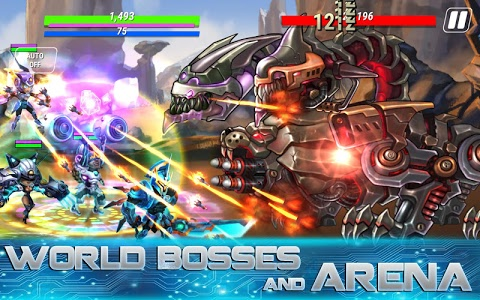 - A real-time strategy battle filled with dynamic effects and varied skill animations. 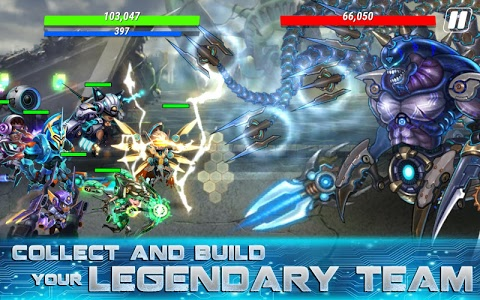 - Many heroes are waiting for you to Unlock & Combine them into a powerful team. 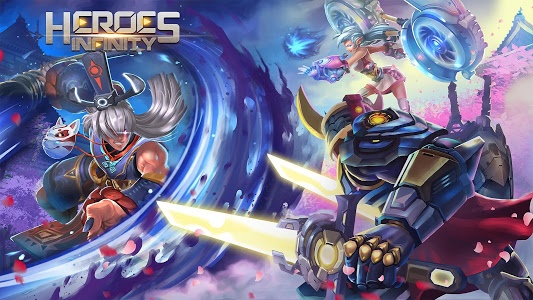 - Power Up, Tier Up, Rank Up, and Gear Up to prepare your heroes in their War for Justice. 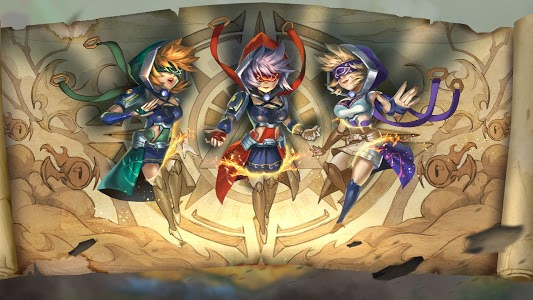 - Summon your heroes wisely to gain Victory in the coming battles. - Adventure Mode: Gain Experience & Level Up your heroes by defeating your enemies. - Skyscraper: Challenge your epic team by conquering many Levels of increasing difficulty. 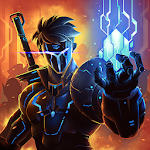 - Star Gates: Collect pieces of all the heroes’ shards to Summon the mystery heroes. 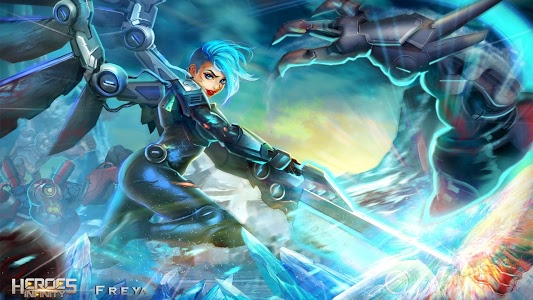 - Training Field: Develop your own skill with heroes in battle to gain victory. 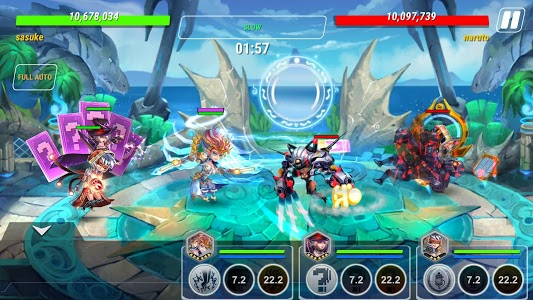 - Boss Party: Battle with legendary bosses and gain unique rewards. - Super Boss: Stay focused when the boss is near. Your epic team have to fight hard. 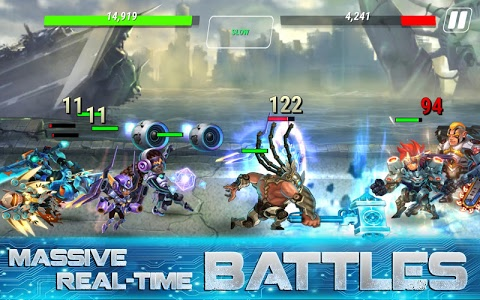 - Prove your team’s Strength & Strategy in the 5 vs 5 battle! - Compete with other players in the leaderboard and make your way to the top of the PvP. "Photos/Media/Files" need to be enabled to download DLC. 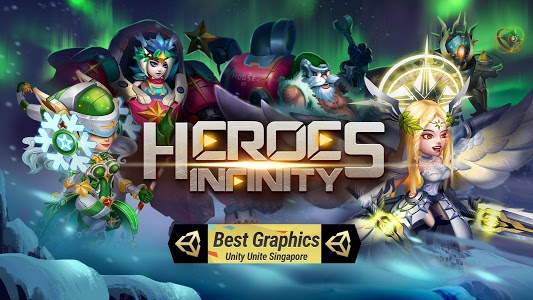 Similar to "Heroes Infinity: Blade & Knight Online Offline RPG"